Sutter Capital Group acquired the lender-owned Hall of Justice building, a 48,000 SF land-marked historic office building located in downtown Sacramento in a compressed time frame sale process. The property was built in 1916 by the city of Sacramento and was the Sacramento Police Department headquarters for 82 years. As an excellent example Beaux Arts Classicism/Neo-classicism, the Hall of Justice is one of the most architecturally significant and distinctive buildings in Sacramento, and the property was placed on the national registry of historic places before being sold by the city in 1999. The property then underwent a comprehensive restoration which included the addition of a 12,000 SF contemporary glass and steel interconnected building on the eastern edge of the original structure. 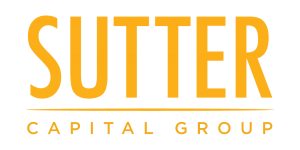 Sutter Capital Group was attracted to the opportunity primarily because of the truly unique and high quality nature of the asset, the compelling acquisition basis and the property’s strategic location in immediate proximity to the (then) planned Sacramento Kings $460 million sports and entertainment facility. The Kings arena project was anticipated to be a major economic catalyst for downtown Sacramento which Sutter Capital Group anticipated would likely move forward, further enhancing the property’s location. Sutter Capital Group executed a lobby and common area renovation program to aesthetically refresh the property and a focused the leasing strategy on government and legal related tenants. The firm successfully released the vacant building to the Judicial Council of California, delivering a compelling return profile to the partnership.